Nandi Valley Walks, a heritage walking tour company, proves that there’s much more to this scenic locale than just the view from the top. Lawyer-turned-teacher, Priya Rao and her husband, Siddharth Raja (a former corporate lawyer) discovered their love for the foothills of Nandi Hills while exploring the area in search of a home. Hoping to share their experience with close ones, they started taking their friends and family on walking tours. Delighted with the response, it wasn’t long before they started Nandi Valley Walks, a heritage walking tour company to explore the Nandi foothills. Now, one and half years since it began, the duo has already conducted around 40 walks for groups that include corporates, school students as well as families. Signing up for their walks promises you a leisurely stroll along one of their three routes, with Siddharth leading the group, talking about the history of the place. They have a trail that starts at the Bhoga Nandeeshwara Temple (over 1,000 years old and located at the base of Nandi hills), explores the rich heritage of the place and moves on to Nandi Halt railway station (around 1.5km away), and another route that starts at the same spot and then, passes through Muddenahalli, the birthplace of Sir M Visvesvaraya (former Dewan of Mysore and an Indian engineer). The tour will also involve a walk through his house, samadhi and the museum. Our favourite is the walk that follows an old and forgotten hiking trail at the foot of the hill, and passes through the Sulthanpet and Nandi villages, which were apparently the field for one of Tipu Sultan’s battles. 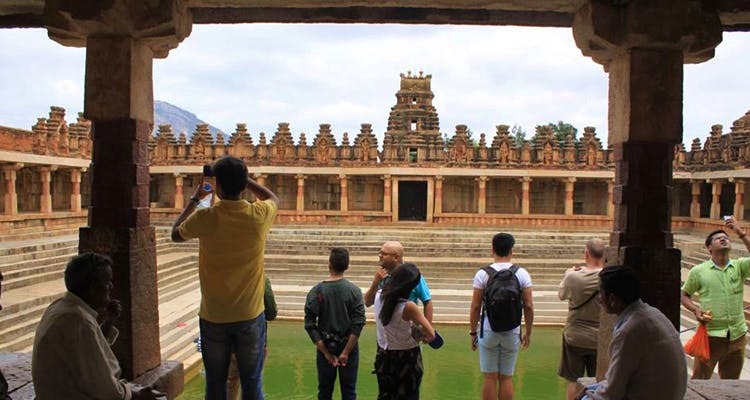 Once you’re done exploring the British cemetery, pottery place and the silk-weaving loom in Sulthanpet, the walk will end at the Bhoga Nandeeshwara temple. For an additional amount (approx. INR 800), you can also include breakfast and lunch to the package.